Happy spring! I thought I would add a little color to your Monday with this yellow pullover. I also have it in grey and beige but knew I needed the yellow as soon as I saw it! When I used to be tan, yellow was my favorite color to sport. But, I’m a little white now…needless to say, haha! 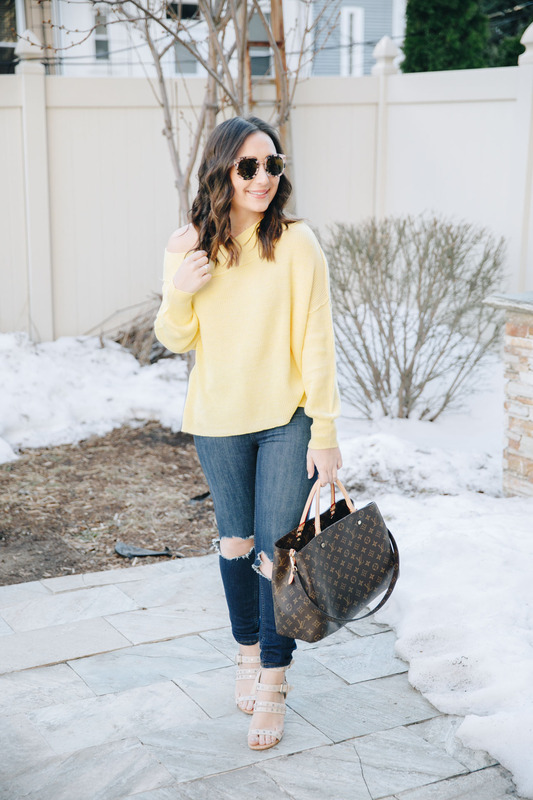 It’s such a comfortable pullover and the yellow color is so fun for spring (especially with white jeans!). Also, I recently picked up these jeans and am obsessed. For reference, I wear a size 27 in jeans and went up to a 30. They run really small but are so comfortable once you get the right size! Gorgeous, my friend!! You look so pretty in yellow!! Gorgeous! 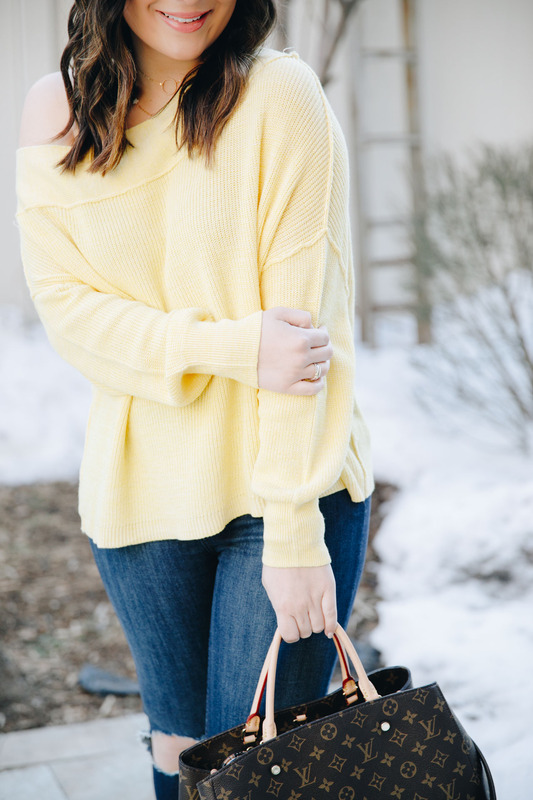 Yellow is my favorite color and this pullover is adorable! love the yellow color on you! So ready for spring! This color yellow was made for you! It looks gorgeous on you! Gorgeous, I love that yellow, it looks so pretty! 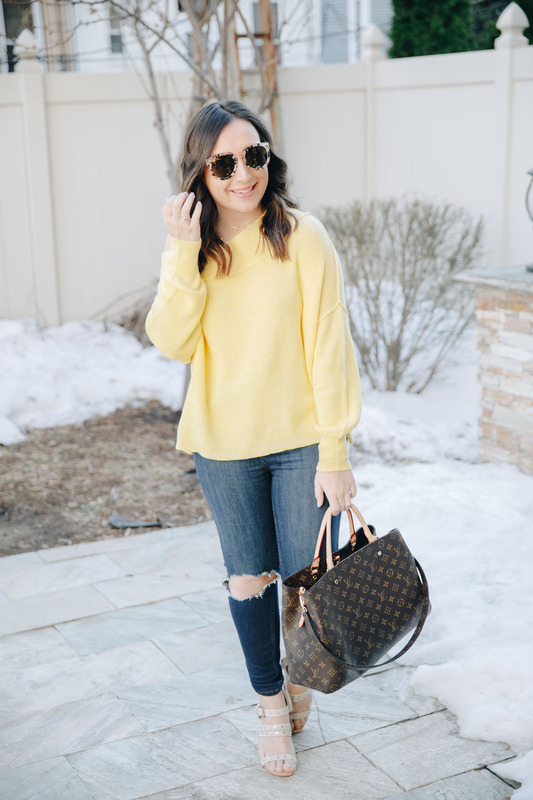 Yellow is totally your color girl! I also really love those sunnies! 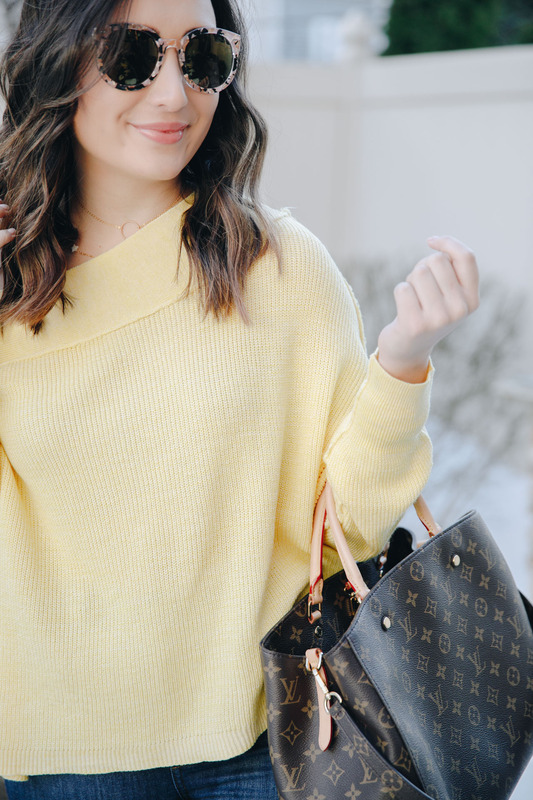 Love that yellow sweater on you! I’ve been loving all the spring colors lately!